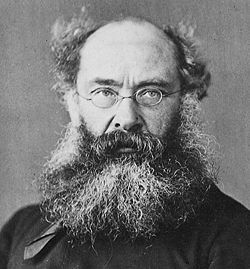 Anthony Trollope ( April 24, 1815 – December 6, 1882 ) became one of the most successful, prolific and respected English novelists of the Victorian era. Some of Trollope's best-loved works, known as the Chronicles of Barsetshire, revolve around the imaginary county of Barsetshire, but he also wrote penetrating novels on political, social, and gender issues and conflicts of his day. Baretshire is focused on the inner workings of an imaginary cathedral. It is a representative of the English Victorian novel. The novel first began to dominate English literature during the Victorian era. Most Victorian novels were long and closely wrought, full of intricate language, but the dominant feature of Victorian novels might be their verisimilitude, that is, their close representation to the real social life of the age. This social life was largely informed by the development of the emerging middle class and the manners and expectations of this class, as opposed to the aristocrat forms dominating previous ages. Trollope's Baretshire novels examine the social, political and religious motivations of his characters. Trollope has always remained a popular novelist. Some of more famous fans have included Sir Alec Guinness (who always brought along a Trollope novel while traveling), former British Prime Minister Sir John Major, economist John Kenneth Galbraith, and American mystery novelist Sue Grafton. His literary reputation dipped somewhat during the last years of his life but he had regained the esteem of critics by the mid-twentieth century. Anthony Trollope's father, Thomas Anthony Trollope, worked as a barrister. Anthony's mother, Frances Trollope, would later become a successful writer. Thomas Trollope, though a clever and well-educated man and a Fellow of New College, Oxford, failed at the bar due to his bad temper. His farming ventures also proved unprofitable and he lost an expected inheritance when an elderly uncle married and had children. Nonetheless, he came from a genteel background, with connections to the landed gentry, so he wished to educate his sons as gentlemen and for them to attend University of Oxford or University of Cambridge. The conflict between his family's social background and its relative poverty would cause misery to Anthony Trollope as a boy. Born in London, Anthony attended Harrow School as a day pupil for three years from the age of seven years old, as his father's farm lay in that neighborhood. After a spell at a private school, he followed his father and two older brothers to Winchester College, where he remained for three years. He returned to Harrow as a day pupil to reduce the cost of his education. Trollope had some very miserable experiences at these two public schools. They ranked as two of the most elite schools in England, but Trollope had no money and no friends, and got bullied a great deal. At the age of 12, he fantasized about suicide. However, he also day-dreamed instead, constructing elaborate imaginary worlds. In 1827 Frances Trollope moved to the United States with Trollope's three younger siblings, where she opened a bazaar in Cincinnati, which proved unsuccessful. Thomas Trollope joined them for a short time before returning to the farm at Harrow, but Anthony stayed in England throughout. His mother returned in 1831 and rapidly made a name for herself as a writer, soon earning a good income. His father's affairs, however, went from bad to worse. Thomas Trollope gave up his legal practice entirely and in 1834 fled to Belgium to avoid arrest for debt. The whole family moved to a house near Bruges, where they lived entirely on Frances's earnings. A year later, in 1835, Thomas Trollope died. While living in Belgium, Anthony worked as a Classics usher (a junior or assistant teacher) in a school with a view to learning French and German, so that he could take up a promised commission in an Austrian cavalry regiment, which had to be cut short at six weeks. He then obtained a position as a civil servant in the British Post Office through one of his mother's family connections, and returned to London on his own. Post Office work provided a gentlemanly occupation, but not a well-paid one. "It was altogether a very jolly life that I led in Ireland. The Irish people did not murder me, nor did they even break my head. I soon found them to be good-humored, clever–the working classes very much more intelligent than those of England–economical and hospitable,"
Trollope began writing on the numerous long train trips around Ireland he had to take to carry out his postal duties. Setting very firm goals about how much he would write each day, he eventually became one of the most prolific writers of all time. He wrote his earliest novels while working as a post office inspector, occasionally dipping into the "lost-letter" box for ideas. Significantly, many of his earliest novels have Ireland as their setting. Given his background it provided a likely backdrop for his stories, but contemporary English attitudes towards Ireland made it unlikely to enjoy warm critical reception. By the mid-1860s, Trollope had reached a fairly senior position within the post office hierarchy. 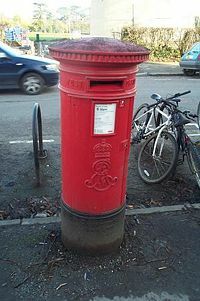 Postal history credits him with introducing the pillar box (the ubiquitous bright red mail-box) in the United Kingdom. He had by this time also started to earn a substantial income from his novels. He had overcome the awkwardness of his youth, made good friends in literary circles, and hunted enthusiastically. He left the post office in 1867 to run for Parliament as a Liberal candidate in 1868. After he lost, he concentrated entirely on his literary career. As well as continuing to produce novels rapidly, he edited the Saint Paul's Magazine, which published several of his novels in serial form. His first major success came with The Warden (1855)—the first of six novels set in the fictional county of "Barsetshire" (often collectively referred to as the Chronicles of Barsetshire), usually dealing with the clergy. The comic masterpiece Barchester Towers (1857) has probably become the best-known of these. Trollope's other major series, the Palliser novels, concerned itself with politics, with the wealthy, industrious Plantagenet Palliser and his delightfully spontaneous, even richer wife Lady Glencora usually featuring prominently (although, as with the Barsetshire series, many other well-developed characters populate each novel). Trollope's popularity and critical success diminished in his later years, but he continued to write prolifically, and some of his later novels have acquired a good reputation. In particular, critics generally acknowledge the sweeping satire The Way We Live Now (1875) as his masterpiece. In all, Trollope wrote approximately four-dozen novels, as well as dozens of short stories and a few books on travel. Anthony Trollope died in London in 1882. His grave stands in Kensal Green Cemetery, near that of his contemporary Wilkie Collins. After his death, Trollope's Autobiography appeared. Trollope's downfall in the eyes of the critics stemmed largely from this volume. Even during his writing career, reviewers tended increasingly to shake their heads over his prodigious output (as they had for Charles Dickens), but when Trollope revealed that he actually adhered to a definite schedule, he confirmed his critics' worst fears. The Muse, in their view, might prove immensely prolific for Trollope, but she would never ever adhere to a schedule. (Interestingly, noone has decried Gustave Flaubert for his well-known diligence, though he too worked on a schedule-scheme similar to Trollope's.) Furthermore, Trollope admitted that he wrote for money; at the same time he called the disdain of money false and foolish. The Muse, claimed the critics, should not be aware of money. "His [Trollope's] great, his incontestable merit, was a complete appreciation of the usual…he felt all daily and immediate things as well as saw them; felt them in a simple, direct, salubrious way, with their sadness, their gladness, their charm, their comicality, all their obvious and measurable meanings…Trollope will remain one of the most trustworthy, though not one of the most eloquent of writers who have helped the heart of man to know itself…A race is fortunate when it has a good deal of the sort of imagination—of imaginative feeling — that had fallen to the share of Anthony Trollope; and in this possession our English race is not poor." James disliked Trollope's tendency to "break the fourth wall" by addressing his readers directly. However, Trollope may have had some influence on James's own work; the earlier novelist's treatment of family tensions, especially between fathers and daughters resonates in James' choice of subject matter in his novels. For instance, Alice Vavasor and her selfish father in the first of the so-called Palliser novels, Can You Forgive Her? may pre-figure Kate Croy and her own insufferable father, Lionel, in The Wings of the Dove. Writers such as William Makepeace Thackeray, George Eliot and Wilkie Collins admired and befriended Trollope, and George Eliot noted that she could not have embarked on so ambitious a project as Middlemarch without the precedent set by Trollope in his own novels of the fictional — yet thoroughly lively — county of Barsetshire. As trends in the world of the novel moved increasingly towards subjectivity and artistic experimentation, Trollope's standing with critics suffered. In the 1940s, Trollope devotees made attempts to resurrect his reputation; he enjoyed a critical Renaissance in the 1960s, and again in the 1990s. Some critics today have a particular interest in Trollope's portrayal of women. His remarkable insight and sensitivity to the inner conflicts caused by the position of women in Victorian society was noted even in his own day. Whatever the critical opinion, Trollope's readers have remained loyal. A Trollope Society flourishes in the United Kingdom, as does its sister society in the United States. The Pallisers, a 26-episode adaptation of all six Palliser novels, first broadcast in 1974. Adapted by Simon Raven, it starred Philip Latham as Plantagenet Palliser and Susan Hampshire as Lady Glencora. The Barchester Chronicles, a seven-episode adaptation of the first two Barset novels, The Warden and Barchester Towers. Adapted by Alan Plater, it starred Donald Pleasence as the Reverend Septimus Harding, Nigel Hawthorne as Archdeacon Grantly, and Alan Rickman as the Reverend Obadiah Slope. The Way We Live Now, a four-episode adaptation of the novel of the same name. Adapted by Andrew Davies, it starred David Suchet as Auguste Melmotte and Matthew Macfadyen as Sir Felix Carbury. He Knew He Was Right transmitted April 18 2004 on BBC One, the first of four 60-minute episodes. Produced by BBC Wales, and adapted again by Andrew Davies, it starred, amongst others, Bill Nighy, Laura Fraser, David Tennant, and Geoffrey Palmer. In the United States, the Public Broadcasting Service(PBS) has broadcast all four series. Glendinning, Victoria. Anthony Trollope, Random House, 1994. ISBN 9780517131817. McNally, Frank. "An Irishman's Diary", The Irish Times, Retrieved on 2006-08-14. All links retrieved April 4, 2016. "Anthony Trollope", Internet Movie Database. "Trollope, Anthony, 1815–1882", Project Gutenberg. "A Guide to Classics in the Barsetshire Novels of Anthony Trollope", Trollope's Apollo. "Home page", The Trollope Society. This page was last modified on 4 April 2016, at 14:15.